Send in your Glock and enjoy TWO WEEK TURN AROUND TIME! Choose from a list of features, or choose from our ready to ship fully customized Glocks in the factory store.  Welcome to Culper Precision, your one stop shop for all firearms customization. At Culper Precision, our mission is to help our customers create the truly one of a kind firearm of their dreams. Our capabilities include CNC Milling, threading, boring and other turning applications, Cerakote, Laser Engraving and Marking, Hydrodip and gunsmithing. If you can think it in your mind we can definitely produce it. 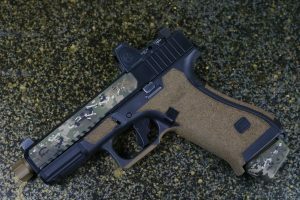 Our custom shop features a two week turnaround time for making the guns you already own into truly one of a kind pieces. Just ship it to us and we will cover the return shipping within two weeks of receiving it. That way you know you won’t be without your guns for months and months on end like with everyone else. 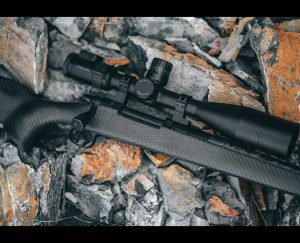 We also feature ready to ship fully customized firearms and parts and accessories to add that little detail to your build that really sets it off. 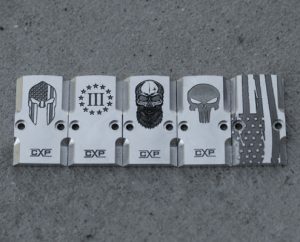 You can take them as they are or utilize our full customization options just upload your artwork and we will work with you to make sure that it gets lasered or Cerakoted the way you want it and shipped out. Thanks for stopping by if you have any questions or ideas please reach out via email, phone, website or Instagram!